OK, this is a little weird, but today I had the first bug of the season splat on my windshield. It was a little bit exciting, especially since the sun was shining as I was driving down the freeway. (Yes, I am easily amused.) The odd thing was that about 1 minute earlier, it was hailing and raining hard. Strange weather in Seattle. 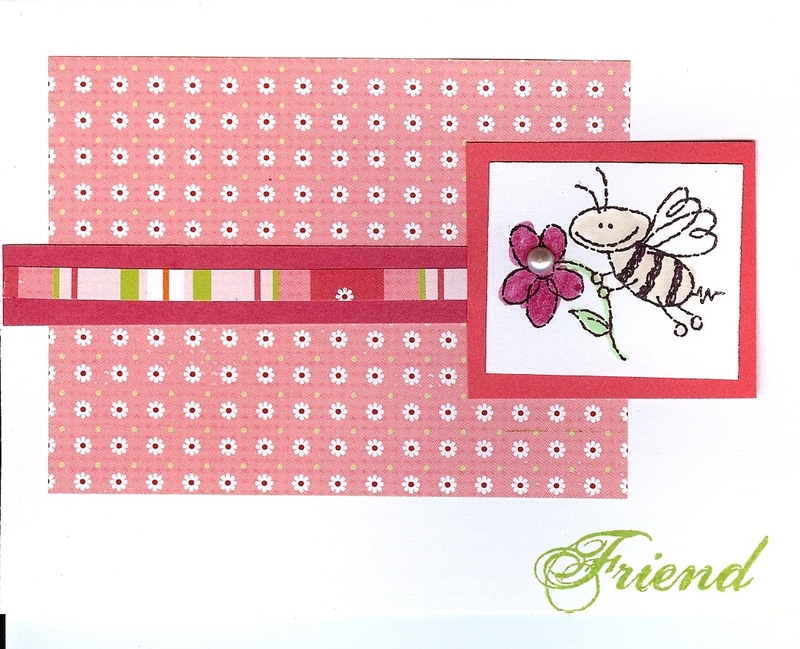 So, I'm inspired to post a "bug" card - in honor of the occasion. 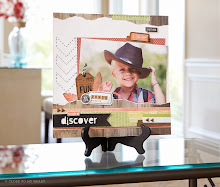 What I like about this card, is it's a great way to use up scraps, and little pieces of paper that you have hanging around. In fact, I don't usually keep papers that are only 1/4" wide. I'd be overflowing with them! 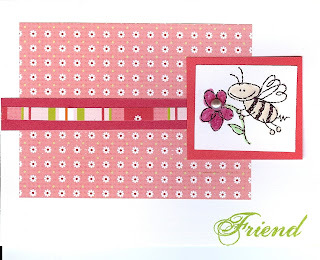 The stamp set is called Bee Happy. You can't tell very well in the picture, but the bee is colored with a Vanilla Cream marker. It's simple; I like it. I really like the Bee. I hope we make a card in our class with it.